Sit. Stay. Grow. uses independent contractors to remain flexible and allow coverage in a broader area across Columbus. We attempt to marry the best sitter to any given job determined by need and location. All our independent contractors have passed a criminal background check, supplied 3 character references, are covered by pet-sitters’ insurance, are bonded, and have a positive history with animals. You may be assigned a back-up or “secondary” sitter. We advise you to meet this person as well. In the unlikely event that your assigned sitter is unable to service you for a requested or even an approved time, Sit. Stay. Grow. will do everything possible to find an alternative sitter. We may not be able to find anyone in some areas at all times so it is in your best interest to have a back-up plan. We request a free initial consultation with your sitter(s), also known as a meet and greet, at your home with the animal(s) present. 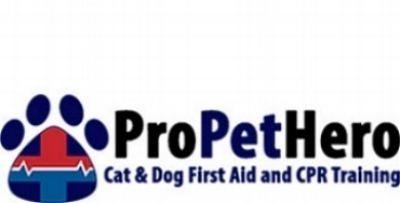 If you provide an email address in advance, we will invite you to use our free client portal in which you can enter all details about your pet(s), keep any documents (like shot records, vet information, food brands, allergies), and always have this information available using the free downloadable app for your smartphone. You will receive 3 forms that should be returned to the Sit. Stay. Grow. office by email or US mail. It is expected that you will supply this information either prior to or after the meet and greet. The forms are for the office not your sitter. The sitter will ask for a key and/or code for entry at this meeting. Additional visits or trips after the first meet and greet with each sitter are chargeable including visits to pick up or drop off keys. We require 48-hours notice of any changes or cancellation of scheduled services. You will be charged for the reserved time if you do not give enough notice. Fees may be waived for events beyond your control like a disabling illness, family death or hospitalization. Please see our fees (provided on the client portal) for current rates. All sitters retain the right to terminate or not complete a service if they determine that continued activity will likely result in harm to themselves, any person, animal, or thing. If a service is not performed for any reason, the client will be notified ASAP using the emergency info provided. It is our belief that cats require human attention at least once per day and unless agreed to by a specific sitter, we insist on daily visits for our feline friends. Dogs require no less than 2 visits per day (which can sometimes be achieved with an overnight sit). Occasionally, it becomes obvious to your sitter that your pet requires an additional visit(s) during your trip (usually due to acting out, "accidents", or misusing the litter box). In that instance, the sitter will attempt to reach you to discuss alternatives. If unable to gain your input, the sitter will add visits as they see fit for the health and well-being of the animal. They may charge an additional fee for significant clean up time. You may receive a larger invoice than originally anticipated. Your sitter will email you a detailed visit report following each scheduled visit to your home. You may request a picture to be sent with this correspondence. If you schedule a visit outside of normal business hours (7 am - 9 pm), an additional fee may be added to your sit. Most sitters carry extra supplies with them in case of emergencies, but we request the you provide all supplies needed to conduct the sit (e.g. poop bags, leashes, collars, harnesses, food, water, treats, litter, litter scoop, a pet towel, and brushes). If a sitter needs to purchase an item specifically to complete your sit, they will attempt to contact you for your approval and direction. All sitters reserve the right to seek emergency medical care for any animal in our charge if deemed necessary. We will always attempt to contact the customer and primary veterinarian ASAP but some emergencies may not allow us to do so until the animal is under veterinary care. You have a right to set a preauthorized dollar limit for veterinary care. Please note this on your client portal under "what we should know" for each pet. We recommend you email a copy of the veterinarian release form to their office. Major holiday visits, including Christmas Eve, Christmas Day, New Year’s Eve, New Year’s Day, Easter, Mother’s Day, Memorial Day (observed), Father’s Day, Independence Day, Labor Day (observed), and Thanksgiving Day will incur an additional fee. Please see our fees (provided on the client portal) for the current holiday rate. Visits that include major holidays are considered "holiday bookings" and as such, fees are not transferrable, cancelable, or refundable. Please review your expectations for your pet’(s) exposure with your sitter at the meet and greet. We will always attempt to complete a sit unless weather conditions make it extremely difficult to do so. We highly recommend you have a back-up plan in case your sitter is unable to complete the sit as scheduled. If you plan is to stay home or you have made other arrangements, please contact your sitter to advise him/her that service is not needed. We will not provide more than a potty break for any dog if the windchill is 0 degrees or below. Small dogs may be limited at higher temperatures. We request a 50% down payment for amounts exceeding $300 but that may be waived for repeat business (such as daily dog walks billed monthly). Payment is made to Sit. Stay. Grow. because we pay our sitters for contracted amounts. Please do not pay your sitter directly except for tips, if you desire. Tips are strongly encouraged as they are a significant source of income for sitters. Please note that your sitter will receive 100% of any tip received by Sit. Stay. Grow. (The bank charges a 3% fee for anything processed by credit card). We can care for additional pets in your home and will charge for them accordingly but we do require information on the owner, primary vet and the animal(s)' history. We also must meet the owner and the pet prior to any paid visit. We will reply to any correspondence ASAP and within usually within 24 hours.